In this article, we are going to see how we can bootstrap Alibaba Cloud Function Compute to the web using node JS SDK. Before we begin, let's take a step back and have a brief discussion on what serverless is and why we should use it. We have virtual machines that can serve applications pretty well. We can also optimize our machines with a microservices architecture, which helps break down a monolithic app into smaller single-purpose apps to increase the maintenance and margin by handling one unit at a time. Now with the serverless architecture, we can further increase the maintenance and margin. In my opinion, a serverless architecture is nothing but a "cloud deployment + automatic load balancer". The task in your application should be simple, in other words, the execution time should be small. If not, at least we should be able to break the complex task/logic into simple ones. There might be an increased latency when we are shifting the monolithic applications to the serverless model based on the event triggers. The application should be able to handle this additional latency. Now we know when to use serverless and when not to, let's see whether it is good to use the self-hosted FaaS (Function as a Service) services or a hosted service. There are several opensource alternatives available out there which can you can self-host to achieve the same OpenFaaS, Nuclio, Fn Project, Kubeless, Apache OpenWhisk. 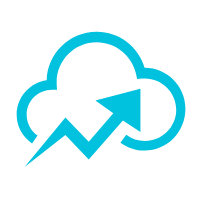 With the introduction of cloud, if you opt for hosted solutions you get greater integrations with the products. This feature gives a higher edge and makes go to market much earlier. Cloud-hosted solutions give better security, for example, Function Compute in Alibaba cloud gets the same Anti-DDoS basic and several other security features which protect the service from all the malicious attacks compared to the self-hosted solutions where we need to implement proper security rules. Any improvements similar to NodeJS, Java, Python Environment upgrade in Function Compute can be made automatically for the users. In self-hosted we need to take the effort of doing the same for all the environments at our own cost. To upload a file to OSS and that will trigger a function execution and we get the output. Invoke the function directly using the Function Compute NodeJS SDK. Create function in Alibaba cloud Function Compute console, without using fcli. Creating & Integrating UI and testing the functionality. Alibaba Compute Function Compute can be used via fcli – Command line tool, Open API, SDK's and Alibaba Cloud Console. 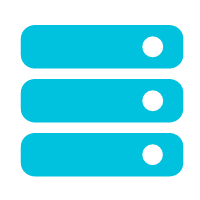 We are going to create a function in Cloud Console in NodeJS environment. 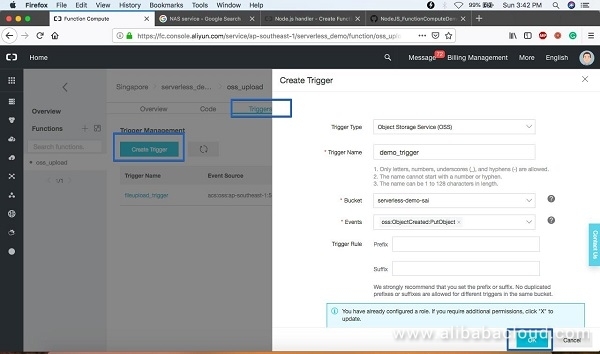 Navigate to Alibaba Cloud console > Function Compute. If you are using it for the first time, Activate the service & Change the region to the desired one and you should console similar to below after that. You might not see the metrics If you don't have any functions created in the region. We need to create a service first and then functions in the service. This is more in analogous to the Microservices architecture. Each service is a monolithic app and the function inside are tasks, this will increase the reusability and provides ease of maintenance. Whether or not your function will have internet access? You can decide whether you want to do it at the service level or at the function level. If you want to do at the service level, all the functions under the service will inherit the properties. Alibaba Cloud function compute provides us with the granularity to control all these properties at the function level. After clicking 'select'. Next step would be configuring triggers. There are different types of triggers available like OSS, Log Service, Time, HTTP etc. But for now we select 'No Trigger'. We will see how to setup one for OSS in the upcoming steps. Choose 'Next' for function settings. Here we will give the necessary details related to creation of function like function name, description, runtime (Make sure you reselect the nodejs8 drop down, else it will show the first item in the list), code configuration, Environment Variables & Runtime Environment. Defaults work well in Runtime Environment. The default service role information and permission configuration will do good. Click verify to proceed. Here you will see the consolidated information related to function, once verified click 'create'. Congratulations!! The function created. event, context, callback – are and should be the parameters for the NodeJS Handler. event – Is of buffer type and all the input consists in the event. callback – this is used to return the result to the function that is called, this follows the standard signature of the function 'function(err,data)' The response will be converted if the data is object type else it will be converted to a string and sent. The function above is written is such a way when there is an OSS Trigger it takes the file name and send it to the user as a response, if not then the function uses the request object and reads the message field, capitalizes it and triggers a mail to the user in the 'toMail' field. There are only a set of dependencies allowed to as part of the function compute console editor, if you require any third-party dependencies we need to bundle the dependencies on own and upload it. 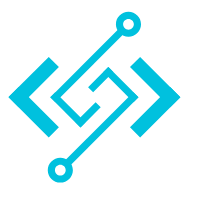 We used nodemailer, which is a third-party dependency which needs to be bundled. you can zip it by right cliking the parent folder along with your generated node_modules. Once you select your zip file the upload will be completed and you can 'In-line edit' the function. Unlike other cloud providers, where once you upload the code there is no provision of editing the function online, but in Alibaba Cloud you can do that. You need to give some information related to your OSS Bucket like Trigger Type, name, Bucket, Events and Clicking "OK" will create the trigger. Oss:ObjectCreated:PutObject will trigger the function whenever there is a file upload to the bucket. Then we have to define a custom message to make a request, if you want to trigger using OSS, you can do that by uploading a file to OSS bucket mentioned. You can see all the output here it has the final status of function invocation as "succeeds" & the response as "Mail Sent: THIS STRING WILL CAPTIALIZE". And the complete request logged in detail on the right side of the screen. We have successfully created a function in the Alibaba Cloud Function Compute console and triggered it successfully. In the next part of the tutorial, we will create a form using which we upload a file and invoke a function using both NodeJS SDK for OSS and Function Compute.